Here is a thought, given all the “but it is impossible for me to use PT or change travel mode because too hard, long difficult, not enough service etc”. How about we limit car use to one lane or one way on every road in Canberra that a bus uses or an on road cycle lane exists. That will serve to make car commutes more equal to other transport modes and allow us to speed up PT and cycling as well as add more PT services. To help pay for all the new PT we can triple rego fees & parking and limit all parking in town centres to 2 hour max. If the proposal by govt was this anti-car, then you would have something to complain about. It isn’t – it is about targeting car users to change their transport mode where they can. 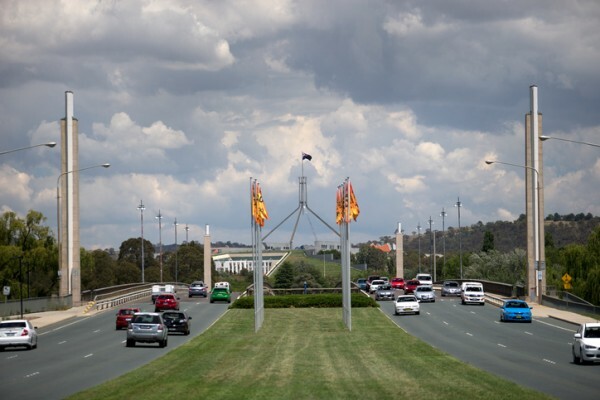 Obviously that won’t work for every commute, but if it works for you at some time and you chose that other mode it will be good for all of Canberra. Yes JC, I saw that explanation about the pantograph/charging problem. The City to Woden section will have this set-up unless the government opt for the more expensive and complex induction system. The re-introduction of trams in Sydney a few years ago also saw a lot of “teething” problems with CAF trams . With you being the major defender for this unfolding disaster I am happier to be the cheerleader for the “I told you so” detractors. One main difference is Newcastle runs in batteries and recharged at stops. And Lo and behold the article mentioned the problem with the second vehicle was with the pabtograph that is raised at stops to charge and the first also a charging issue. That said do you seriously think any project in the world will not have teething problems? I’m awaiting the glee from some here when the first operational breakdown occurs in the Canberra line. The comments will be along the lines see we told you all it was a bucket of poo. But after a few weeks it will all settle down and never heard from again. What we need is a teleportation system run on green power. stargate/Star Trek not the fly style please! Oh no here comes greater registration cost! It would be better to have a congestion tax, rather than slug the occasional car used the same as the person who uses their car everyday. That would do more to encourage people to leave their car at home and take the bus, cycle, or walk to work (or combination), than increase registration and then people say I might as well drive; I'm paying enough in registration; need to make it worth it. Canberra is too spread out, and has too few customers, so public transport is always going to be a tough business case. To get people out of cars is going to require big, bold thinking and radical ideas- when parking is max $12 a day and the bus is $10, no one will chose this. So half the bus fare. Or better yet, make it free. Cycling reduces congestion without having to spend big on infrastructure - so why not provide secure bike parking and a coffee voucher to those who use it? This will reduce congestion and can help support local business. Thomas Hoffman sounds like communist Victorian thinking to me! We don’t take kindly to such reasoned thinking around these parts - get back to pinko Melbourne! I still would not catch public transport no matter the price because... there is none for me! And I have kids I need to move around!